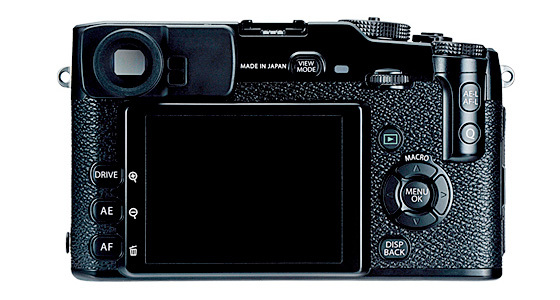 Fujifilm's main focus has been on the X-Pro1 at CES this week, the latest addition to its X-range of cameras. Equipped with an APS-C sensor the X-Pro1 offers interchangeable lenses for the first time. While Nikon, Olympus and Panasonic seem content to slug it out with smaller sensors on their compact system cameras, the Fujifilm X-Pro1 joins a growing choice of APS-C format models, among them the Sony NEX and Samsung NX ranges. 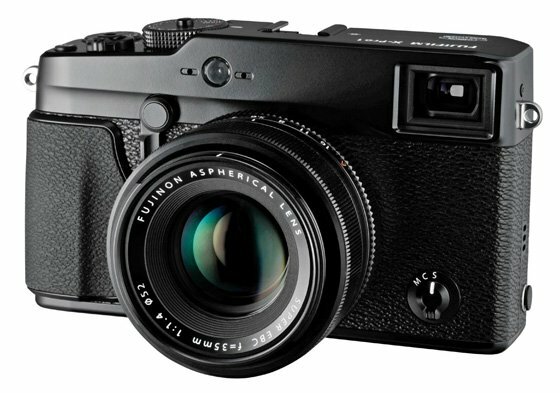 Fujifilm's X100 also sports an APS-C sensor but this 12.3Mp fixed lens model now seems somewhat overshadowed by the 16.3Mp count of the X-Pro1. Currently, the available optics are limited to just three prime lenses: f/2.0 XF 18mm (wide-angle), the f/1.4 35mm (standard) and the f/2.4 60mm (macro) lenses – 35mm camera equivalent to 27mm, 53mm and 91mm, respectively. The company plans to notch up around nine or ten X-mount lenses in total within the next couple of years. The X-mount enables a deeper mounting of the interchangeable lenses bringing the rear lens closer to the sensor reducing the back focus distance and light loss too. Other specs include a hybrid EVF and optical viewfinder, a 3in LCD display, 1080p video recording and an ISO sensitivity up to 25600. The Fujifilm X-Pro1 is set to hit US shelves in February with an expected price of $1700 (£1100) with optics around $500-$600 (£325 - £390) depending on the kit.